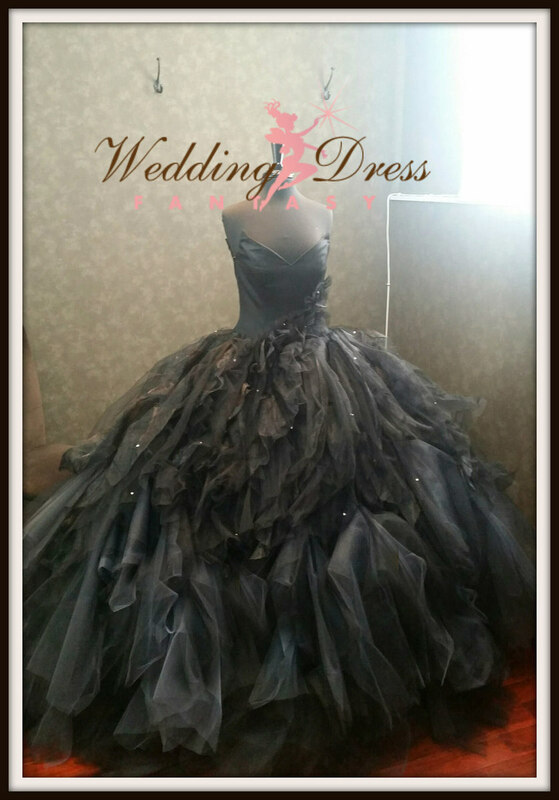 Incredible distressed Black and Charcoal Wedding Dress from WeddingDressFantasy. Bodice created with a pointed sweetheart and drop waist design. Skirt is oversized with distressed layers of Black tulle and organza. Hem features muddy charcoal uneven tulle placement. Scattered rhinestones throughout.